Khoon ka Khoon (1935) – In one of the first Indian adaptations of a Shakespearean play, thespian and film maker Sohrab Modi recreated Hamlet for the Indian audience, with a stellar cast of reputed theatre actors. Along with stage actresses Naseem banu as Ophelia and Shamshadbai as Gertrude, Modi’s directorial debut was quite a success. Having been a Shakespearean actor himself, he impressed the audience with his powerful performance as Hamlet. Much has been written about his charismatic screen presence and booming baritone. For cinephiles, Khoon ka Khoon is available on DVDs today. Zalim Saudagar (1941) – Directed by JJ Madan, Zalim Saudagar is the first adaptation of the popular The Merchant of Venice in Hindi cinema. The film starred Khalil, Rani Premlata and Haider Bandi in the lead roles and enjoyed critical acclaim and financial success. At that time, Zalim Saudagar garnered a lot of global attention as a skilled adaptation of the play. 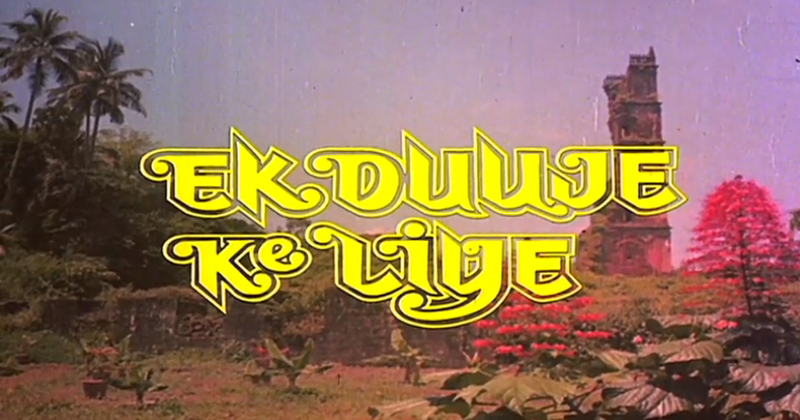 Ek Duje ke Liye (1981) – Unabashedly Bollywood, Ek Duje ke Liye is best remembered as Kamal Hassan and Rati Agnihotri’s crackling acting debuts in Hindi films. 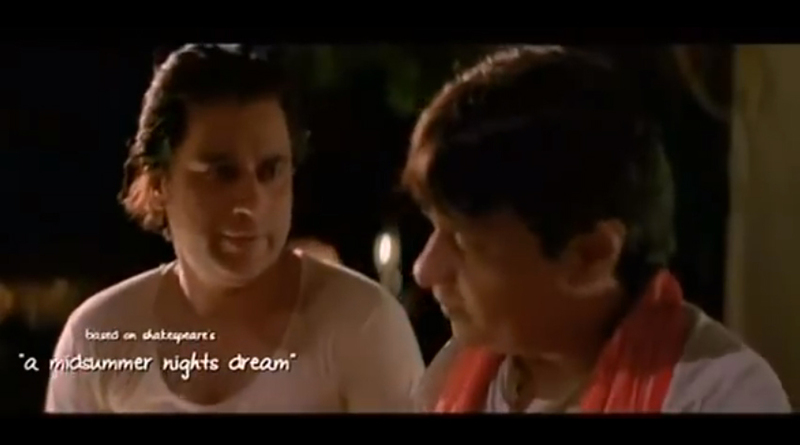 A melodramatic take on Romeo and Juliet, the film dealt with the topical Hindi-Tamil language divide and was a runaway hit. Unlike most R+J adaptations, the film was mostly non-violent and enjoyed a brilliant supporting cast. The other winner was the soundtrack, which is a crowd favourite even today. Angoor (1982) – Probably the most popular and critically acclaimed Shakespearean adaptation before Vishal Bhardwaj came along, Gulzar’s classic was based on the Comedy of Errors. Led by a talented cast of Sanjeev Kumar, Deven Verma (in double roles), Moushumi Chatterjee and Deepti Naval, Angoor is best remembered as one of the ‘80’s best comedies. While Gulzar was garnering popularity for his poignant dramas, Angoor was akin to the Hrishikesh Mukherjee and Basu Chatterjee school of middle-class comedies which the decade is known for. Interestingly, Gulzar had written the screenplay for the Kishore Kumar starring Do Dooni Chaar (1968), which was also an adaptation of the same play. Both the films boast of popular soundtracks. and Neil Bhoopalam, this blink-and-miss romantic comedy definitely deserves a second chance.